Presence: Size (number of pages) of the main web domain of the institution. It includes all the subdomains that share the web domain plus all file types, including rich files like PDF documents (Weight: 10%). Visibility: Number of external networks (subnets) originating backlinks to the institution's webpages. After normalization, the maximum value between the two sources is selected (Weight: 50%). Transparency: Number of citations from Top authors according to Google Scholar (Weight: 10%). Excellence: Number of papers in the most cited 10% across 26 disciplines. Data for the five-year period (2010-2014) (Weight: 30%). 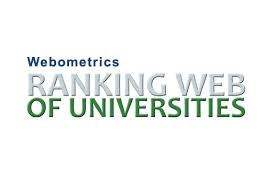 For more information about Webometrics, click here.